When the First Fleet reached Sydney Cove in January 1788, the convict transport Scarborough also carried 5,000 bricks and 12 wooden moulds for making bricks and they should have possibly also included a couple of Eye Fillets and a whole tray of Rib Eye Steaks on the bone for the Hunter & Barrel Contemporary Style Restaurant because as one of our fine gentlemen from our Sydney Steakboyz Chapter mentioned "It looks like the barrel was finished by the hunters before they headed out". This is the token that was felt by the Sydney Chapter for their end of June Steakboyz evening. The first Steakboyz settlers arrived and were welcomed solely by the element of space. The restaurant does actually have a unique feel and setting and the Steakboyz ensured they would not scratch the bottom of the barrel and set themselves up with a beer, some wine and a stomach settling whiskey. The beef carpaccio with rocket, capers, parmesan and dijonnaise stole the starting show from crispy chicken wings that were glazed with sweet chilli, this was followed by the oily fried squid with lemon and black pepper dipping sauce. With a sophisticated charge on the menu, the majority of the Steakboyz choose the ancient ritual of the Rib Eye on the bone, with the raw members evaluating and feeling a need to elevate the Eye Fillet to its natural state within this modern hunting environment. A pickled cabbage slaw with celery seed with an added spicy char-grilled pumpkin with coriander, labna and chilli and some iron button mushrooms added some diversity for the meat loving hunting SteakBoyz. 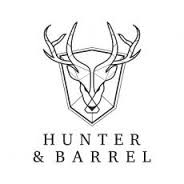 The Hunter & Barrel may see value in unpacking the definition of customer service which is two equal parts of communication and one genuine attention to your diners. When guests visit your restaurant, you want them to feel welcome. When you treat them with the utmost care and respect while providing an excellent meal and then they'll come back to your restaurant again and again. An individual may arrive at the Hunter & Barrel alone, some may even be seated alone and a few may even go home alone, but only through our love for great steaks can we create the illusion for the moment that we are never alone at the “bottom of the barrel”. Sometimes in a Steakboyz life there comes a time, when we should express our gratitude for the small and simple things, like the nose of a future great wine, the familiar taste of our favourite steak or the sound of two ice blocks clinking in our whiskey. 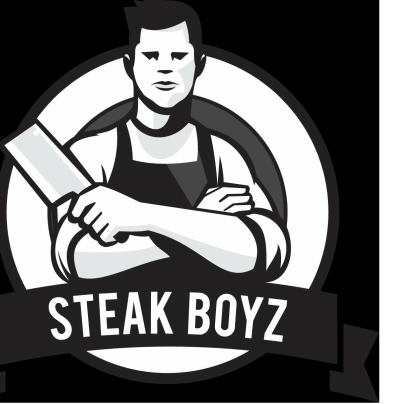 Until the future boyz – remain a “sterk” steak.